All our facilities are available for rent. Situated off-grid and in a pristine natural environment, Garchen Institute is ideal for weddings, group yoga or meditation retreats, and more. 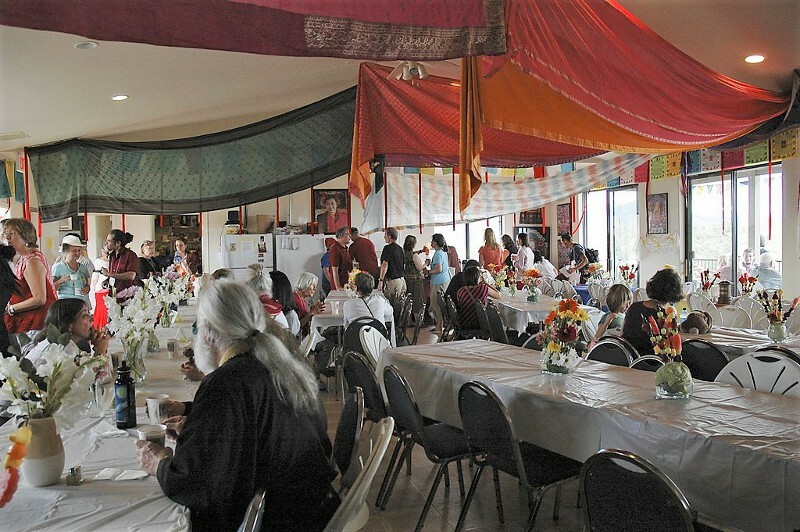 Please call 928-925-1237 or email us at questions@garchen.net and let us help you arrange your next event. 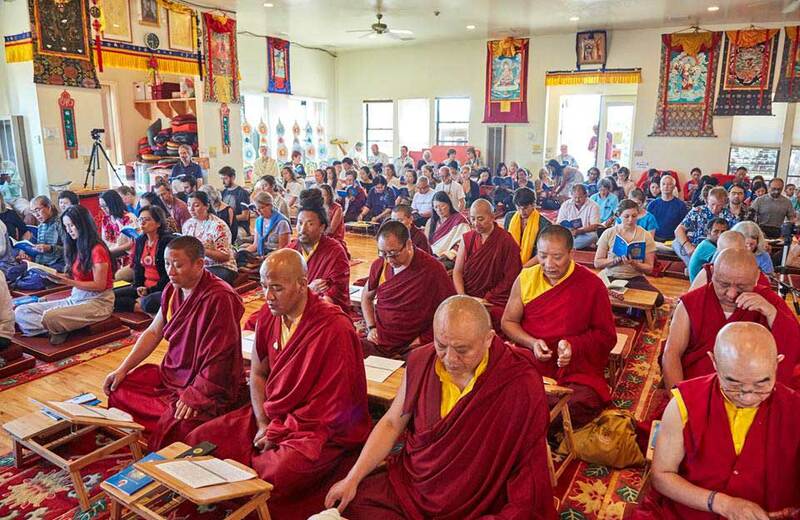 With seating for 200, our main temple is a 900 square foot building with natural hardwood flooring and colorful Tibetan carpets. 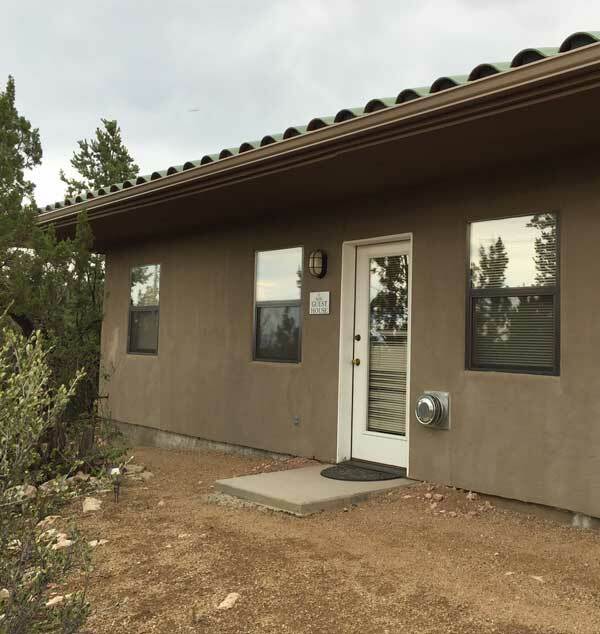 It has an open, spacious design with floor to ceiling windows and spectacular panoramic views of the surrounding mountains, red rocks of Sedona, and the Garchen Institute Stupa. 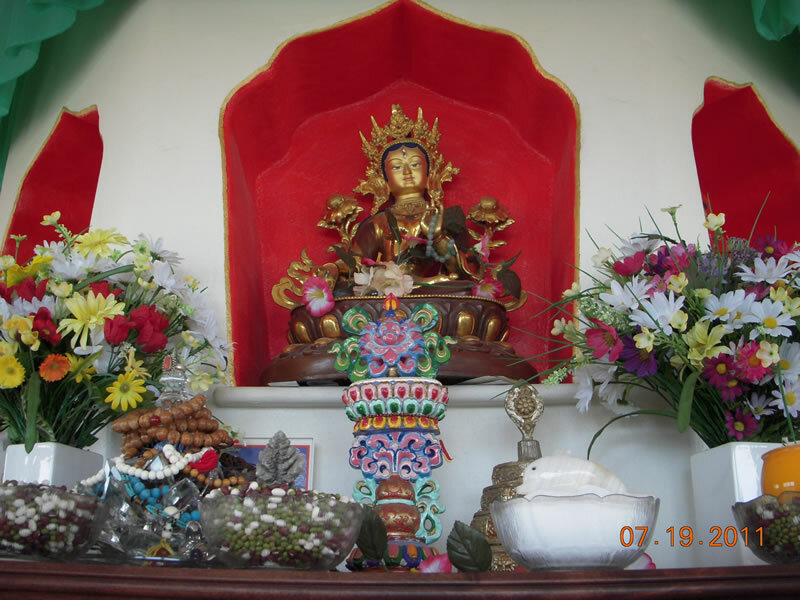 Upon the altar rest beautiful buddha statutes, upon the walls large beautiful thangkas. 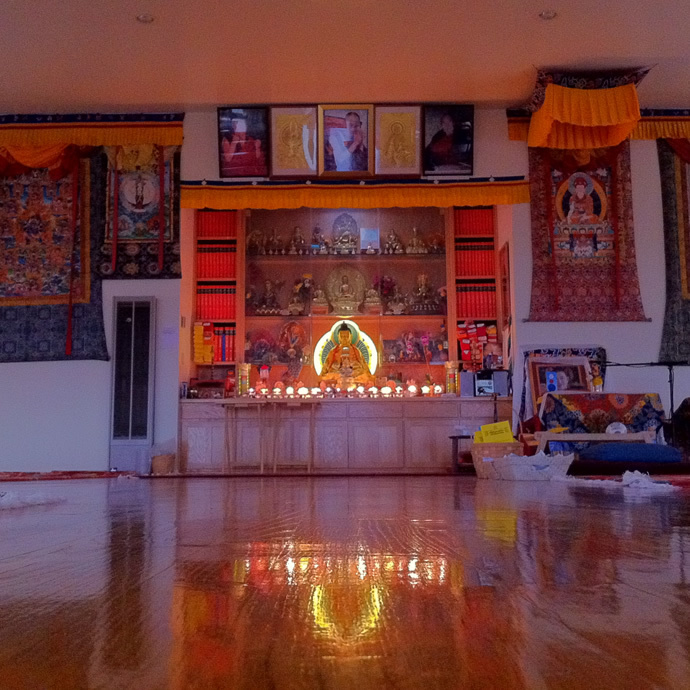 The space is perfect for classes, workshops, meditation and yoga retreats, weddings, ceremonies, etc. 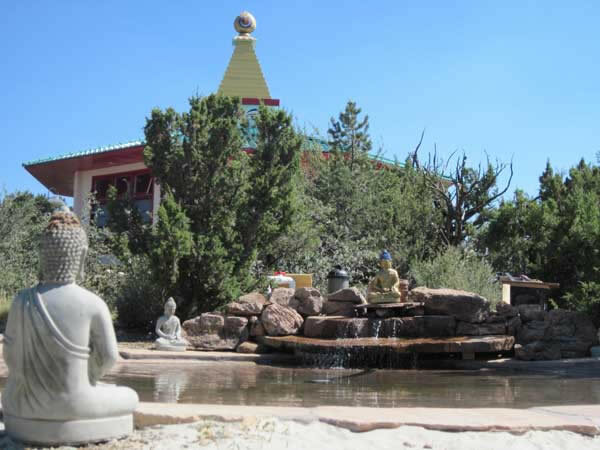 The Garchen Institute Stupa is a Buddhist shrine designed and created by His Eminence Garchen Rinpoche, who has said that the design came to him in a dream. 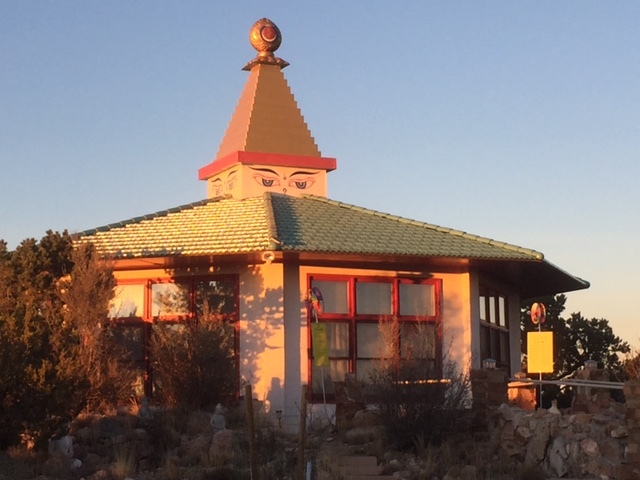 Octagonal, with a central pillar filled with sacred relics, this stupa is incredibly unique and unlike any other in the world. 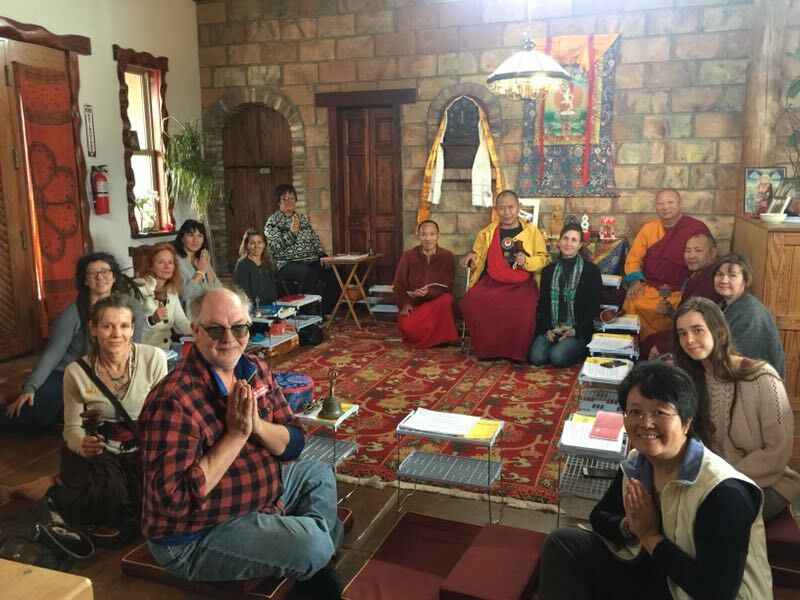 Its interior is graced by beautiful Tibetan carpets, unique monochromatic thangkas, and beautifully presented meditations on the nature of mind and the path. 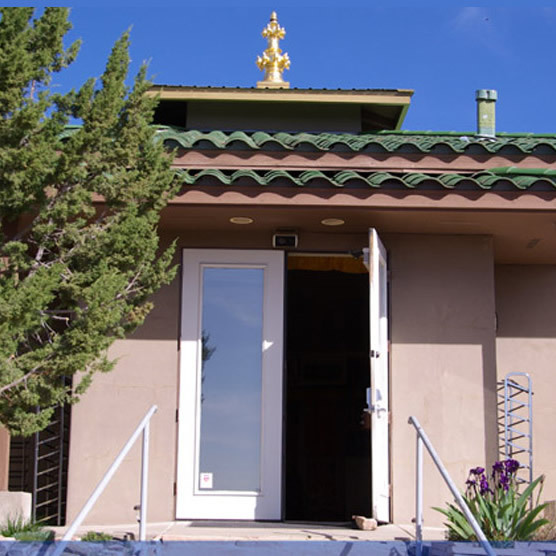 The exterior walk-way leading up to the stupa is concrete and handicap accessible, as is the path around the stupa itself – perfect for walking meditation and circumambulation. Our spacious, casual 60′ x 30′ dining hall can comfortably accommodate 175 people, with additional seating on the covered balcony deck. 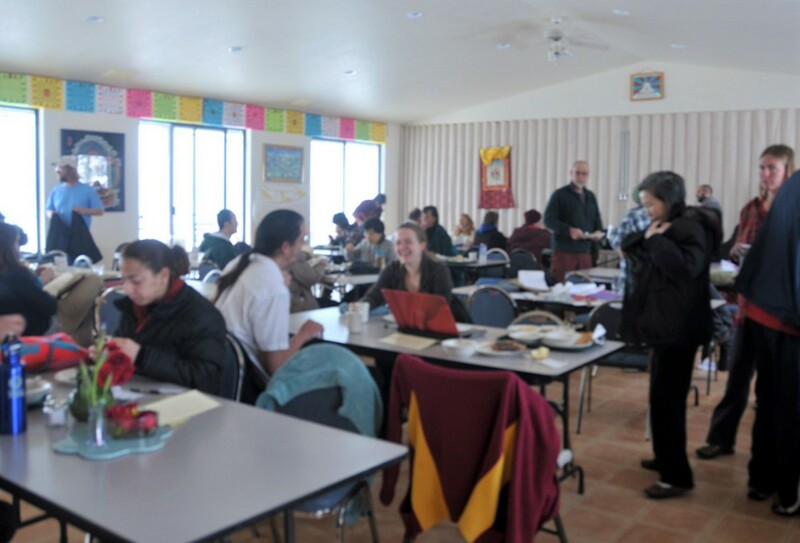 Its an ideal space for classes, workshops, receptions, group luncheons and dinners. Our full service commercial kitchen is equipped to prepare meals for small or large groups. 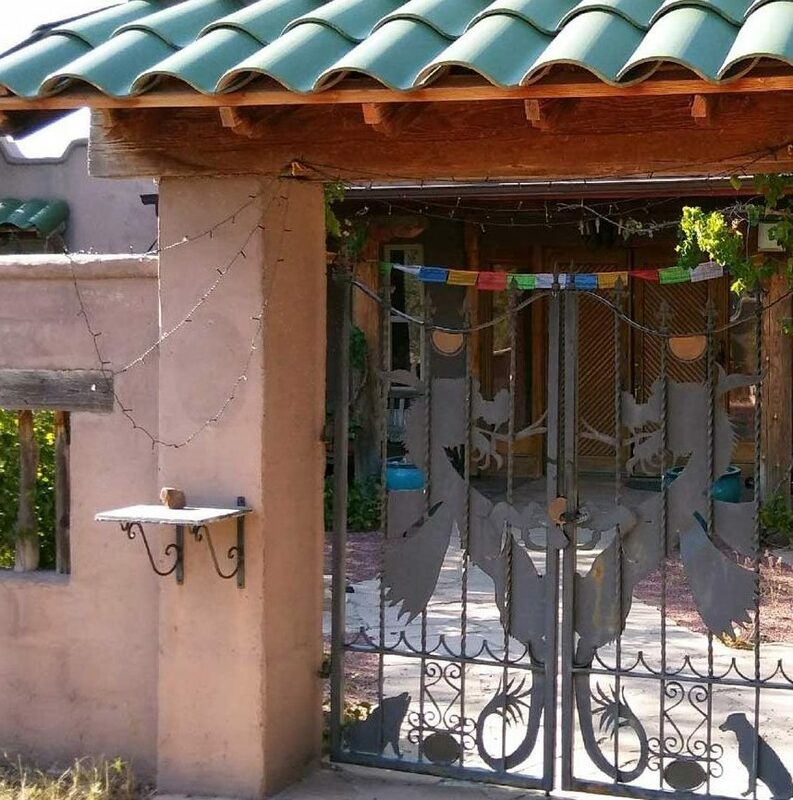 On our newly acquired 10 acre property rests a beautiful custom built adobe style house with six bedrooms and 2 full bathrooms. 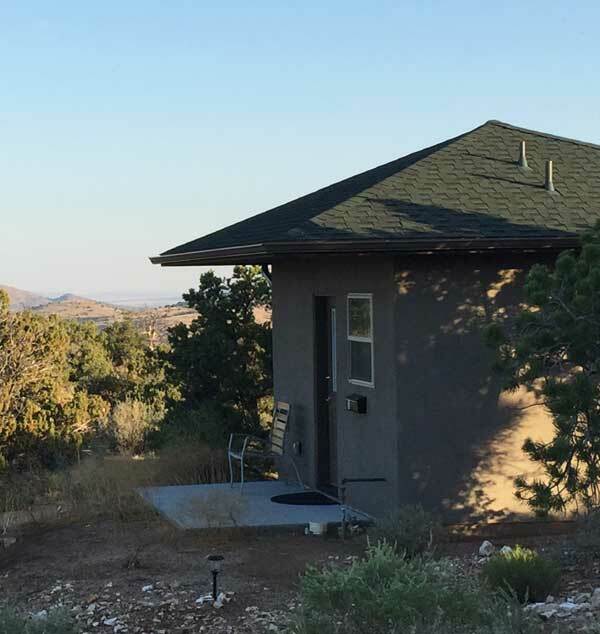 The setting is perfectly situated — private, quiet, with lovely outdoor covered front and back terraces and with views of nature in all directions. 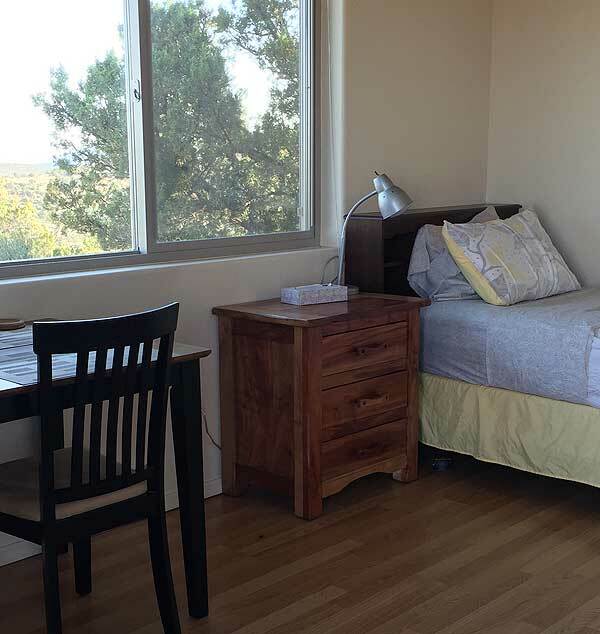 The house offers a shared living area, kitchen and laundry. 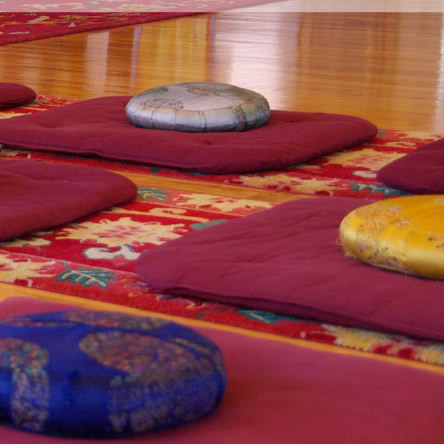 Tashi Gatsal Ling is ideal for small groups up to 12 people. 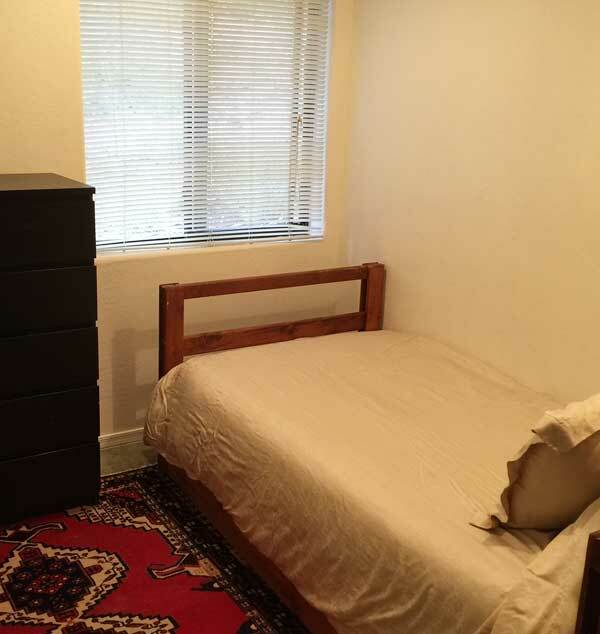 About: Four shared rooms with a a total of eight beds occupy our dorm space. The dorm has two showers and a central kitchen. Heating and Cooling in the main hallway and kitchen areas. 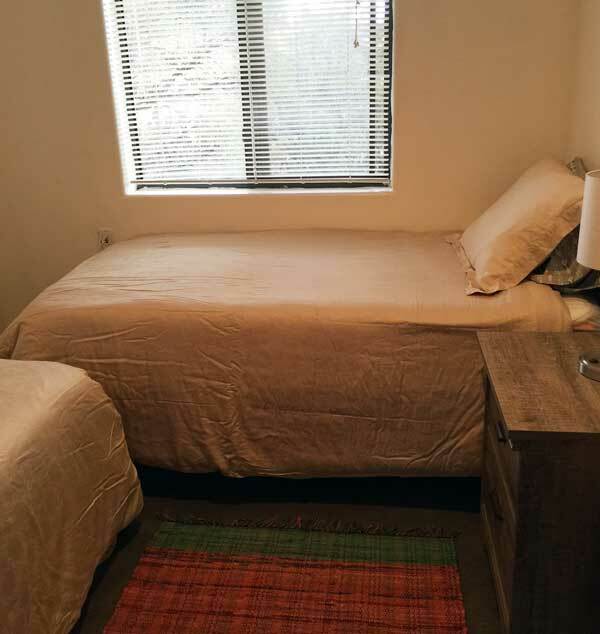 About: Our private dorm room is located in the central dorm and shares all the above mentioned amenities, however the private dorm room has its own heat. About: There is a shared kitchen, dining table and couch in the common room that separates two bedrooms that each have an attached bath. Each room has a private shower with bath tub. Shared kitchen space and common area with a couch and side tables. 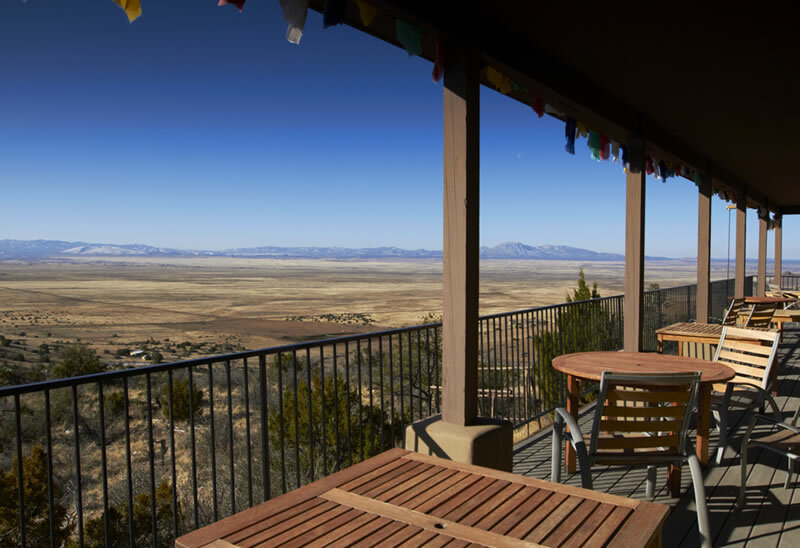 About: Our deluxe retreat huts are all inclusive and have amazing views of the valley and stupa.